Here is a really interesting site which uses the interactive features of the Internet to promote learning. 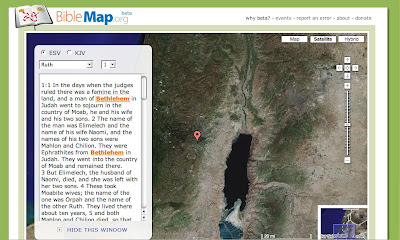 When you first access the site, you are greeted by a satellite map plus a text box on the Left Hand of the screen. Type in the Bible passage, and when text comes up, you want to click on the highlighted place name. Clicking on the place name calls up a map.